1. 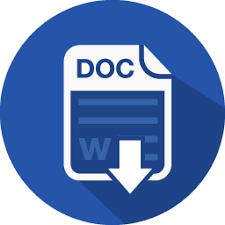 The paper submissions should use the exact template, which can be downloaded here. 2. The full papers should not exceed 10 pages, page 1-5 are free, page 6-10 will be charged additionally. Accepted full papers will be invited to be published into the conference proceedings, the authors will be invited to give an oral / poster presentation. 3. The Abstract should not exceed 1 page. Accepted abstracts will be invited to give an oral / poster presentation without publishing into the proceedings. 4. If you prefer poster presentation, please indicate in the registration form. 1. A total of 15 minutes has been allocated for each paper presentation, including time for questions. 2. Session chairpersons will strictly enforce this limit. Presenters are requested to keep their presentation within the time limits stated. 3. For presenters using Microsoft Power Point, they are encouraged to bring their files on a USB flash drive (thumb drive) and upload their file before session starts directly onto the laptop or desktop computer. 4. Presenters may also use their own laptops if their presentations require special software or code.